Here’s a little handy budget advice: You don’t have to tip in Iceland! Yes, you read that right. There is no tipping tradition in Iceland. The value-added TAX is calculated in the price of everything and we Icelanders have never bought into this whole tipping thing. So, unless you really want to show someone how much they mean to you, you don’t have to tip a single krona. Actually, you don’t have to withdraw any money from the ATM either. You could say that Reykjavík is the cashless capital of the world because we almost only use credit cards. 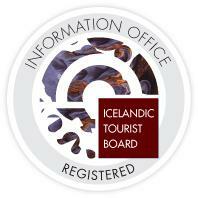 In fact, 99% of Icelanders’ transactions come from cards. I’m sure you didn’t know that! The good thing about skipping the ATM is that you don’t have to carry around huge amounts of money with you at all times. An added bonus is that you don’t have a lot of currency in your wallet when you fly back home. Because, let’s face it, that small change just gets lost on the road a lot of the time. Which is a shame because it is actually worth something. So, skip the tipping and cash and you’ll save a few kronas. It's the best news we've heard in ages! Don't go hungry on a budget! You can save a lot by shopping at the "right" places. Save a few ISK and talk politics!